The launch of the 2019 Rural Crime Initiative at The Pentland Hills Regional Park. Sheep worrying continues to be a problem in the countryside, and is a feature of the 2019 Rural Crime Initiative, launched last Saturday. This campaign is being launched to coincide with the spring lambing period – when sheep are at greatest risk. Sheep worrying is a criminal offence and if a dog is found to have attacked livestock the owner may face criminal action. Livestock worrying is not just when a dog chases or attacks an animal, but can also be when a dog is in close proximity to livestock. This can cause sheep to panic and flee, resulting in serious injury or death. As well as the distress and harm caused to the animals, these incidents have both a financial and emotional impact on the farmer that is completely avoidable if dog walkers follow some simple steps. Dog owners have a responsibility to ensure that they are in control of their dogs at all times and should avoid fields with livestock, where possible. Where livestock are unavoidable, dogs should always be kept under close control, preferably on a short lead. Even if they are usually very obedient, it is every dog’s instinct to chase. They don’t understand the impact of this – but as an owner you do. Sergeant Michele Lindsay of Penicuik Police Station, said: “If you are out walking a dog, remember that you can meet livestock anywhere in the countryside. Don’t be complacent with routes you have previously travelled, it is important to remember livestock are moved around. “Between January 1, 2018, and March 1, 2019, as well as a number of reports of hare coursing, there have been in excess of 17 livestock worrying incidents reported in Midlothian, including at Penicuik, Roslin, Dalkeith, Pathhead and Gorebridge. 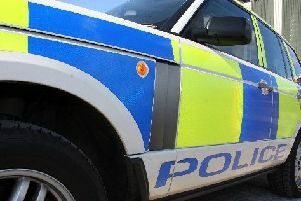 “These type of incidents often go unreported and we would encourage farmers to come forward when they do occur, or when there are any ‘near misses’. “We’d also encourage farmers to engage with dog walkers if they have any concerns and put signage up on the relevant gates, paths and entrances to warn walkers of the presence of livestock. “I would urge farmers, dog walkers and members of the public to talk to us for any advice on this issue, as officers will be carrying out rural patrols between now and the beginning of May. National Heritage Officer staff advise states: The Pentland Hills Regional Park covers a large area of the Pentland Hills south of Edinburgh, across Midlothian, Edinburgh and West Lothian. Every year we deal with numerous livestock-worrying incidents, in part due to the area’s proximity to the city. In 2018 we logged 12 incidents which were reported directly to us by members of the public or landowners; there have certainly been many more unreported. It can be difficult to quantify injuries to sheep through worrying by dogs, but typically they will run into one of the Park’s reservoirs and drown, be bitten by a dog, or could abort foetuses in winter. We erect nearly 40 signs every lambing and tupping season warning dog owners to take care around sheep, plus 20 large red wooden signs which are more strongly worded! Farmers generally hate having to shoot dogs, but they will do so to protect their flock. When dog-walking in the Pentland Hills, please be aware of any sheep, and take heed of signage. If your dog is not instantly biddable under any circumstances, you should put it on a lead when anywhere near sheep. If you witness a sheep-worrying incident, please contact the police on 999 and the Regional Park as soon as possible. Meryl Norris, natural heritage officer for Pentland Hills Regional Park, said: “Every year there are a number of sheep-worrying incidents in the park. We aim towards dropping this number to zero. NFU Scotland recently launched a 12 month campaign, Control Your Dog on Farmland, which encourages responsible dog ownership and raises awareness of livestock worrying and the increased problems caused by dog fouling. 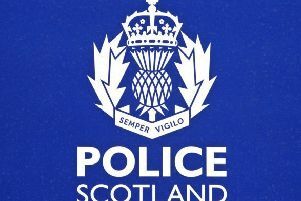 With an increase of livestock worrying cases being reported by Police Scotland, and owners failing to pick up poo or leaving poo bags hanging, it is hoped the campaign raises awareness of the negative impact these incidents can have.